"Dana's compassionate, open and inclusive style helped us create an educational plan suited to our son's temperament and our family's lifestyle. With concrete tools for dealing with his anxiety around school, we have seen tremendous progress in two short months. She coordinated my son's IEP so everyone was on the same page, using the same tools. Dana provides clear follow up and is available to troubleshoot and provide support when needed. We feel so fortunate to have found her!" "In overseeing services to students, parents, teachers and administrators of advanced learners, Dana Cope has developed a program that provides a full menu of support options. Meeting the differentiated needs of the student is her passion. Whether students have exceptional skills requiring accelerated learning opportunities, social emotional needs that must be met to maximize learning, creative outlets for talented youth or a combination of the three, Dana finds a way to serve them. She has garnered appreciation and admiration throughout Napa Valley Unified School District and statewide recognition for her achievements from the California Association of the Gifted. We will benefit from her impact for years to come." "Dana is a trusted school educator with twenty years experience. She possesses the character, interpersonal skills, and professional experiences needed to effectively inspire teachers and students. Dana has ensured the identification and support of our majority and underserved diverse gifted student populations. Dana possesses an excellent vision for pedagogy and collaboration among teachers and parents. In 2008, she was selected as the Napa County Teacher of the Year. This year, Dana received the California Association for the Gifted (CAG) Distinguished Service Award. Both awards are the result of Dana's exceptional teaching skills." "Dana is a skilled consultant to support teachers, parents, and administrators in setting ALL learners up for success academically and social-emotionally. 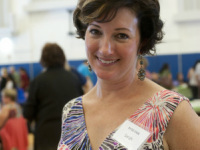 She became ALPS coordinator for NVUSD in 2006. ALPS basically replaced the Gifted and Talented program, to ensure a more diverse student body would receive an enriched education. In just a short period of time, Dana completely turned the program around, and started an annual event showcasing the many projects in which ALPS students were involved. That event has grown threefold, and the program now includes a robust, exciting curriculum. " "Dana became our 2008 Napa County Teacher of the Year after a rigorous evaluation process which included a classroom visit where she was observed by a team of educators. Napa County Office of Education then recommended Dana for the California Association for the Gifted Distinguished Service award for the work she has done as coordinator of Advanced Learner Programs and Services for Napa Valley Unified School District." "It was a honor and pleasure to collaborate with Dana on many district-wide innovative initiatives while working together for Napa Valley Unified School District. Her leadership and exuberance coupled with her successful teaching and coaching experience has made it a joy to work with Dana. She has a very strong attitude of service and a "can do" personality for all students. She continually has modeled the notion that life-long learning is important in understanding the teaching, learning, equitable access and opportunities for all students. I cannot thank Dana enough for her trailblazing work with creating an identification measure and process ensuring our English Learning students equitable access to NVUSD's district-wide ALPS (GATE) program. Dana has a huge heart where you will automatically feel embraced, inspired, and transformed by working with her." "Dana's insights have been valued in our system, for her unique ability to understand the needs of our stakeholders, our teachers, and to weave those interests together in coherent ways. Dana is a tireless resource of positive energy always visualizing creative options to challenges; including creating an inclusive approach to Accelerated Learner Services in providing scaffolding for all students, not just those qualifying for the program. Additionally, Dana has developed a rigorous website for the program, and created a Resource Night for the community where all families can learn more about the community resources available to them to support the educations of their children. Dana has shown herself to be a life-long learner, who enjoys thinking beyond educational circumstances to reach for solutions that not only make learning a joy for students, but promote best practices in teaching as well." "Dana has shown the unique capabilities to think outside the box to meet the needs of our "mystery box" students. ​She embraces the natural wonder when it comes to supporting students who respond positively to alternative learning strategies. Dana uses these amazing talents to support site teams with our Student Success Team process throughout Napa Valley Unified School District. In addition, Dana shares her talents with not only the public schools in Napa County, but also with students and parents who attend private schools. Working with Dana is an absolute joy. She has a combination of zeal in meeting the needs of all learners, curiosity to dig deep below the surface of any situation and positive outlook which makes sharing any experience with her phenomenal." "When I have sought to use Dana's skill set it has often been in high stakes and complex situations. In every case she has proven to be an invaluable asset in moving a process forward and keeping the school team and family strength-based and student-centered. In a few instances I have encountered students whose profile was that of "twice-exceptional"-kids who are identified as both advanced learners, as well as meeting Special Education Eligibility. Dana's consultation has been beyond critical in that she's able to identify the nuanced needs of each student and the appropriate academic interventions that will help the student tap into their unique gifts and learning style. She often refers to these cases as "mystery boxes" and is genuinely intrigued and excited to roll up her sleeves and get involved! Dana enthusiastically embraces the mindset of "all means all"-that services and supports are designed for every student and are aimed and calling forth students' individual talents and abilities." "Dana researched for us state laws and school district policies of which school staff were not aware were "on the books" that allowed our daughter the opportunity to spend half of her educational time outside of middle school-in high school college classes, performing arts programs in the community, and in an internship. She also helped launch a novel writing program so that our daughter and her peers could do advanced and creative writing for school credit. This latter innovation became immensely popular because it was offered to all children. Both interventions were out of the box solutions in our seemingly traditional public school system. " "The key to Dana's success is she excels at speaking everyone's language-administrators, teachers, parents, and children. She either finds the "sweet spots" that people can all agree on or she helps create them. Dana is an "education whisperer," an expert and an artist at creating change on behalf of children." 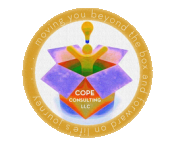 "Dana is a skilled facilitator, trainer, and coach for all teachers and excels with communication and providing meaningful and applicable resources to help build capacity in others. She also demonstrates a deep knowledge of systems and structures that impact the entire school community and consistently strives for better, more efficient ways of supporting learning." "I have had the opportunity to watch Dana's transformation from classroom teacher who was named Napa County Teacher of the Year to an instructional coach extraordinaire supporting adult learners! She is a remarkable woman; personable, charming, articulate, and exceptionally committed and dedicated to the teaching profession."